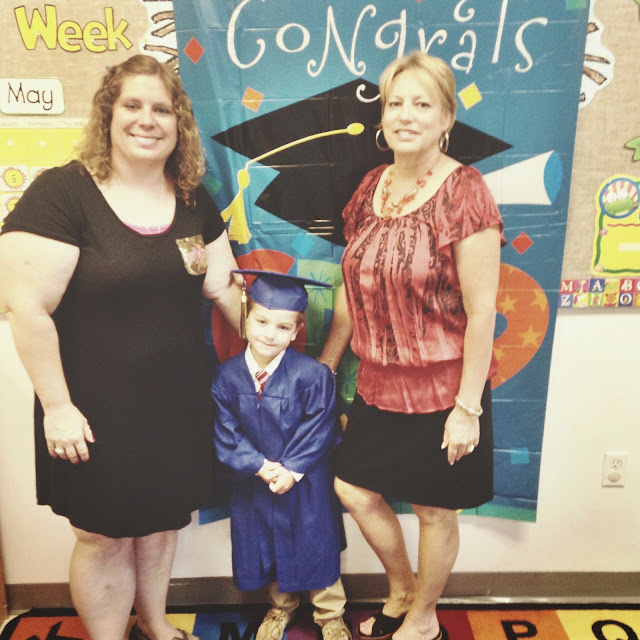 Dancing With Ashley: Goodbye, Preschool! Charlie is going to be the sweetheart that always takes care of his Mommy. 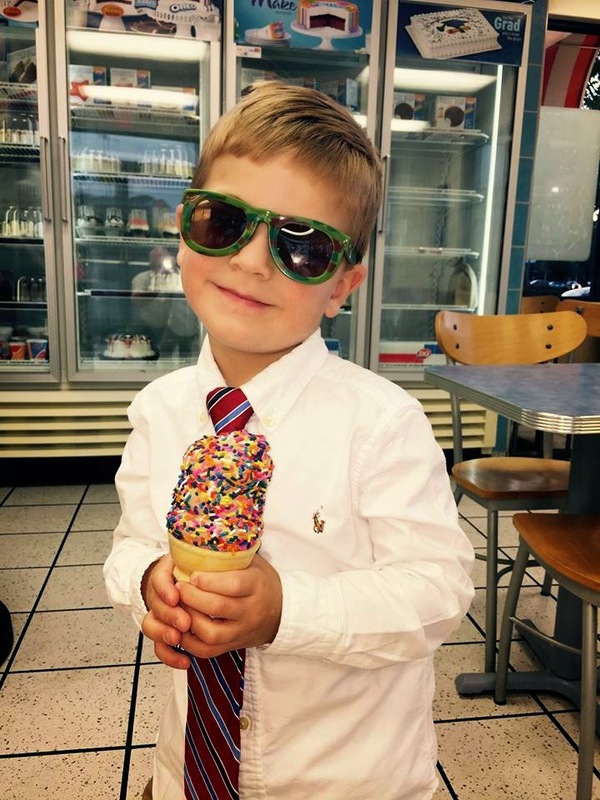 He is my best friend, and I'm feeling all kinds of emotional with him going to kindergarten in the fall. Charlie is very in tune with how I'm feeling...always, and he's smart as a whip. 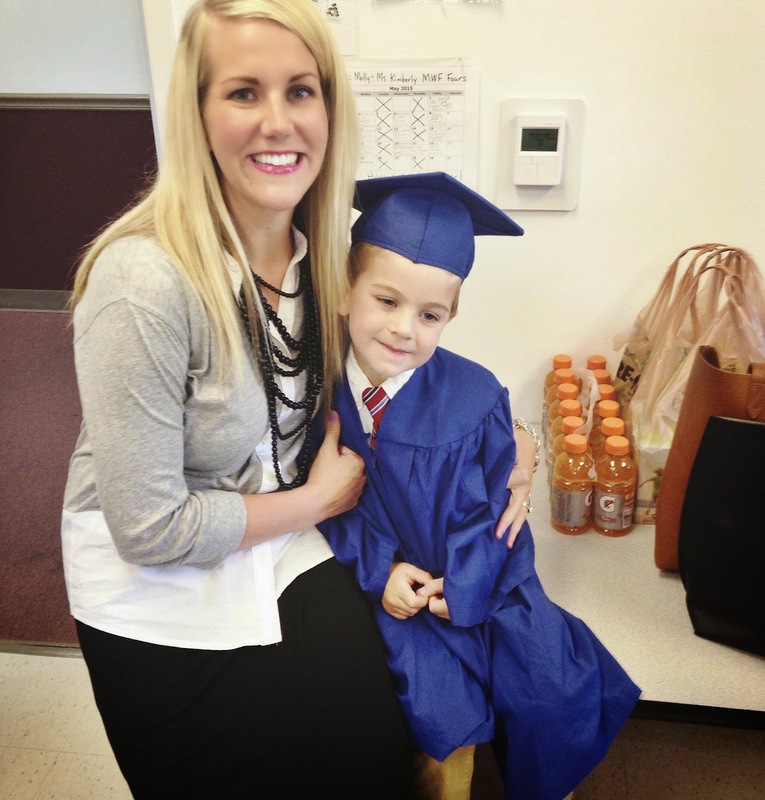 :) He's going to rock it out in elementary school. 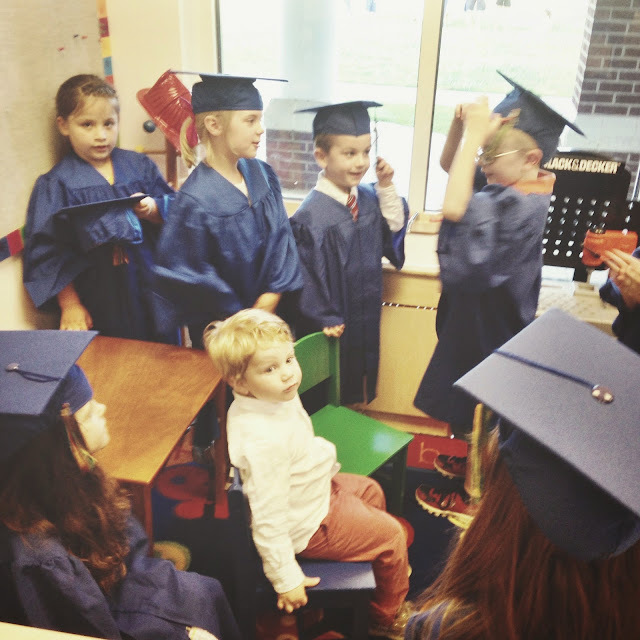 Here are some pictures of my sweetheart's preschool graduation. 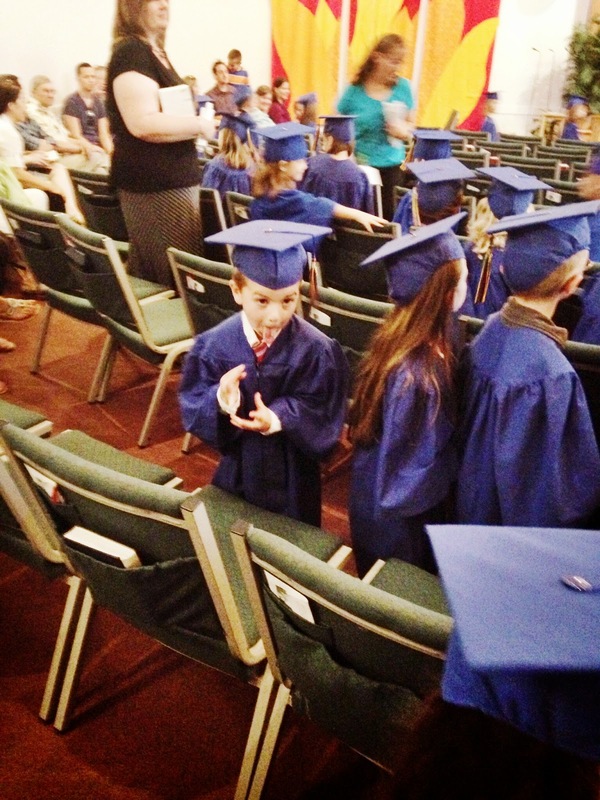 ^Walker boy hanging with all the big kids before graduation. Grandpa and Mimi took the grad out for a (giant) post celebration treat. Such a cool dude. I feel like he's growing up right in front of my eyes! 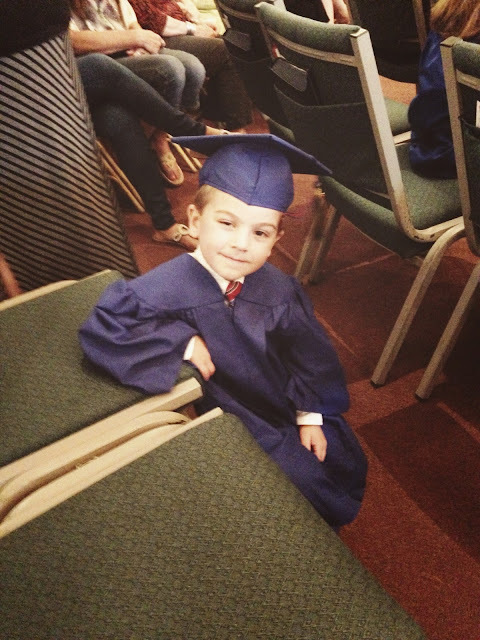 I cannot get over how adorable (and grown up) he looks in his cap and gown. Charlie seems like such a sweetheart. Congratulations on graduation little guy, I hope he loves kindergarten! 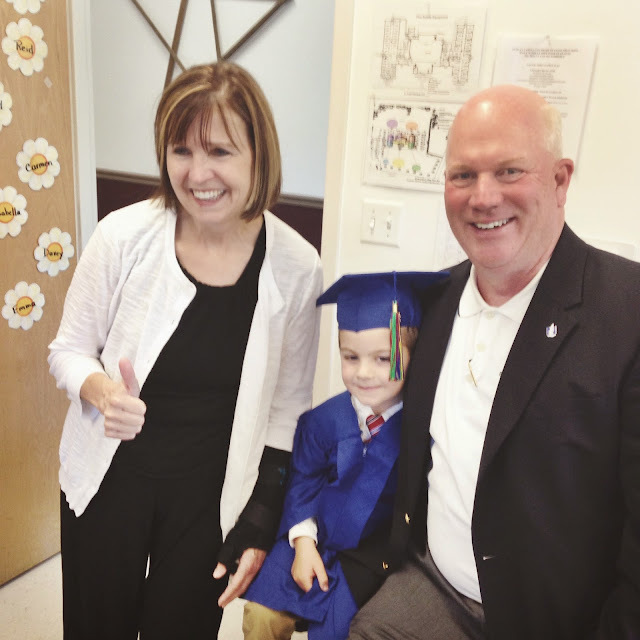 way to go charlie! my little one just graduated pre-k so iknow the feeling! love this post! xO! Those little caps and gowns are too cute! He's going to be the coolest kindergartner. I love the shades! Ohhhh my word, I'm melting. The tie? The graduation cap? The adorable grin? Too much for my heart. I love him! YAY Charlie!!!! Oh my goodness, he is just the cutest!